In the wake of the popularity of transcendental meditation in the 60s, the Beatles and others also incorporated the sounds of India and other cultures, although very few of them had the training to do so with any real skill. But that approach disseminated quite rapidly indeed and by the late 60s a lot of groups were picking up the idea of the raga and applying it somewhat haphazardly to popular music. I've been a fan of this kind of thing since I heard Strawberry Alarm Clock's "Sit with the Guru" and "Black Butter" in my teens and since I don't have enough skill to tell the amateur raga from, say, one of Ravi Shankar's, I tend to love all of this sort of thing, even sometimes when it's not so expertly played. The Third Ear Band is certainly one of my favorite ensembles, and Italians Aktuala picked up and pushed forward their approach by performing raga-esque, acoustic instrument driven trance music, here with guitars, tamboura, balalaika, oboe, harmonica, soprano sax, tablas, and other reeds and percussive instruments all with a sort of hippie urgency. The results were three albums by the ensemble, with this title largely considered their finest work. One of Italy's most oddball discographies, yet nothing short of magical. And it's nice to see them all in print again, as there was something like a ten year gap where they weren't widely available. 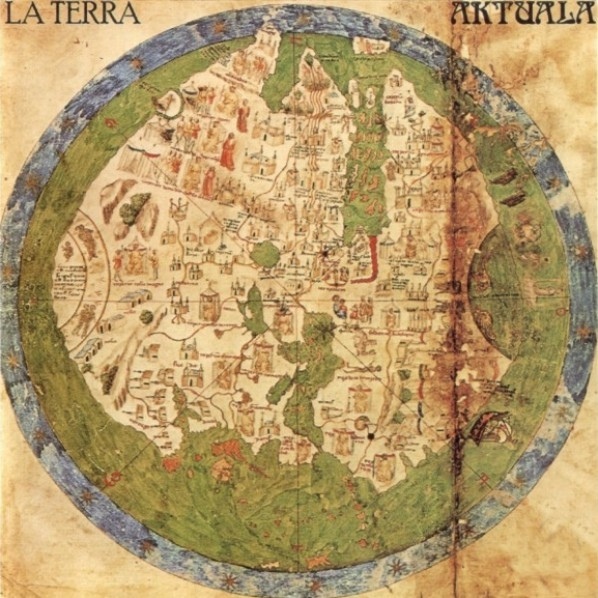 The creative forces behind Aktuala were Walter Maioli (arabic oboe, bamboo flute, naj, harmonica, piccolo, etc.) and Daniele Cavallanti (soprano and tenor sax, clarinet) who formed the band in Milan in 1973. Originally a quintet, at their peak they were a seven-piece, including instruments like acoustic and Spanish guitar, balalaika, flute, bells, harp, tabla, moroccan bongos, cello and viola. Originally on the Bla-Bla label, they recorded a total of three albums of what could best be described as world-fusion, combining the influence of Asian and North African traditional music with elements of jazz and folk, play exclusively acoustic instruments. 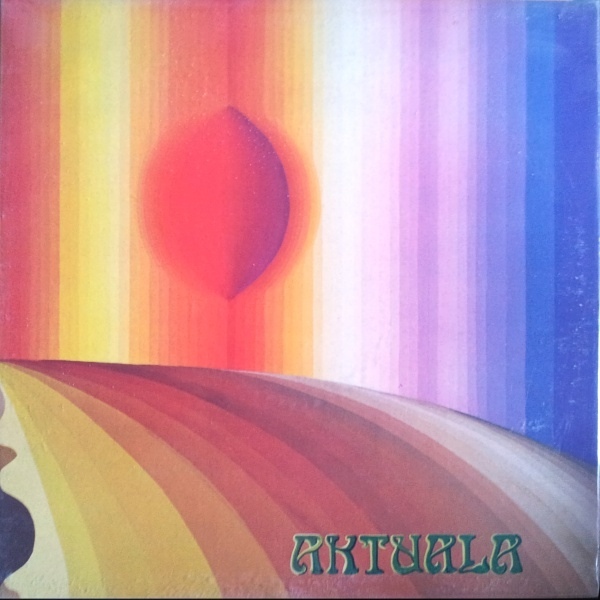 The first album from 1973, simply titled Aktuala, probably sports the most jazz influence of the three. Here, their music might remind of bands like Embryo or early Between, or take the Paul Winter Consort and strip out all the classical elements... in fact the music on this first album might occasionally hint of some of the more adventurous stuff on the ECM label. The opener, a twelve minute "When the Light Began" sets the tone for the rest of the album. Only "Mammoth R.C.," a free-jazz wail on multi-reeds seems a bit out of place. For their second album, the lineup swelled to seven – plus guests, and included the renowned percussionist Trilok Gurtu. While the first album sported longer less-structured pieces that sometimes wore out their welcome, La Terra from 1974 was clearly a move to a more raga-based structure in the vein of early Third Ear Band, and the strong percussive elements here carry the album to a higher plane. The harmonica / sax interplay on the album opener "Mina" is quite unique. Overall, this one tends to be more energized than the other two, and thus I'd recommend it as the one to start with. 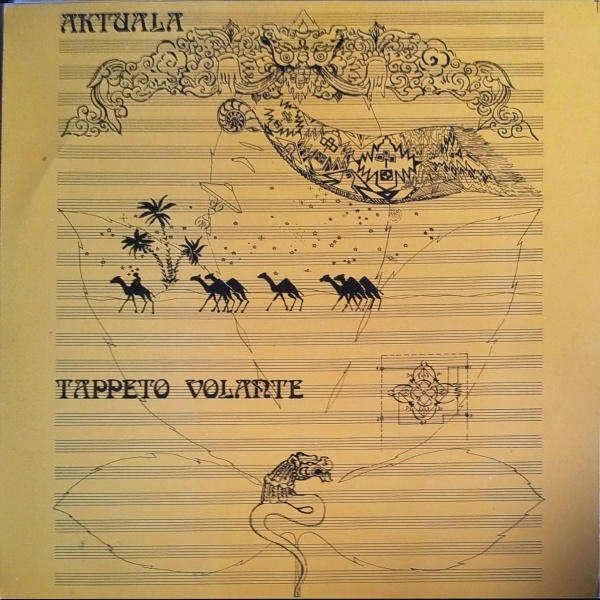 The final album, Tappeto Volante, is clearly the most stark – a more traditional sounding adventure of thirteen shorter tracks. At this point the jazz and raga elements had almost completely yielded to the very strong Moroccan / Arabic influence, yet it could be said that this is the album with the most variety among its tracks. Five of the tracks were recorded by a five piece lineup (including Gurtu, but not Cavallanti), and the remaining tracks by various fragmentations, alternate lineups and guest musicians, usually including Maioli, Cavallanti, or both, between 1974 and 1976. All are adventurous albums and come highly recommended for the open-minded.